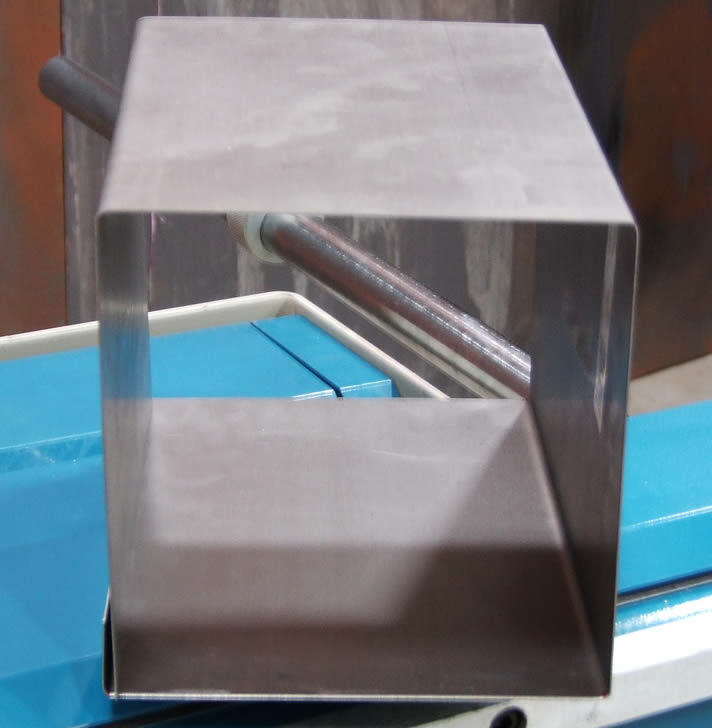 This sheet metal brake can bend boxes or pans to almost any depth since it doesn’t rely on conventional finger depths. This box and pan brake runs on 220-volt single-phase power and will work at virtually any site. 48” (4-foot) length with a maximum capacity of 16 gauge mild steel. The breakthrough open-ended design allows you to create enclosed ducts and shapes impossible to make with a traditional box and pan brake. 6-ton magnetic power is consistent across the entire beam, allowing for crisp bends even in the middle of the brake. Scaled stroke angle control lets you deliver repeatable bends time after time. 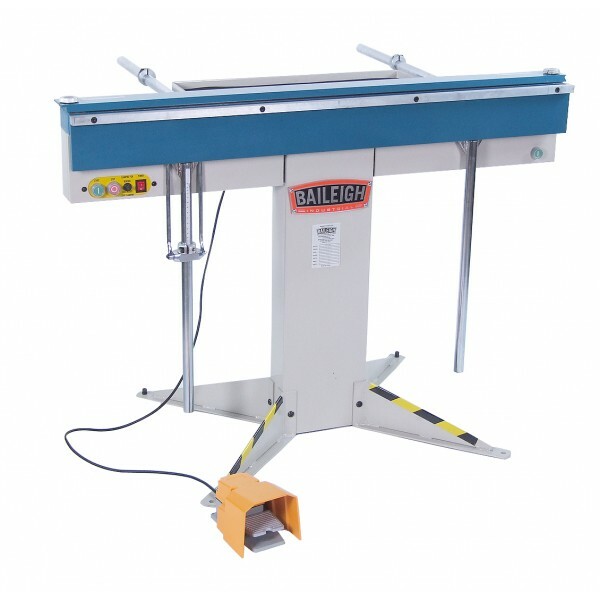 You can set up the mild steel clamping bar with straight bars (of various widths if you had very tight boxes to make) for straight bends or segmented clamping bars for box and pan applications. 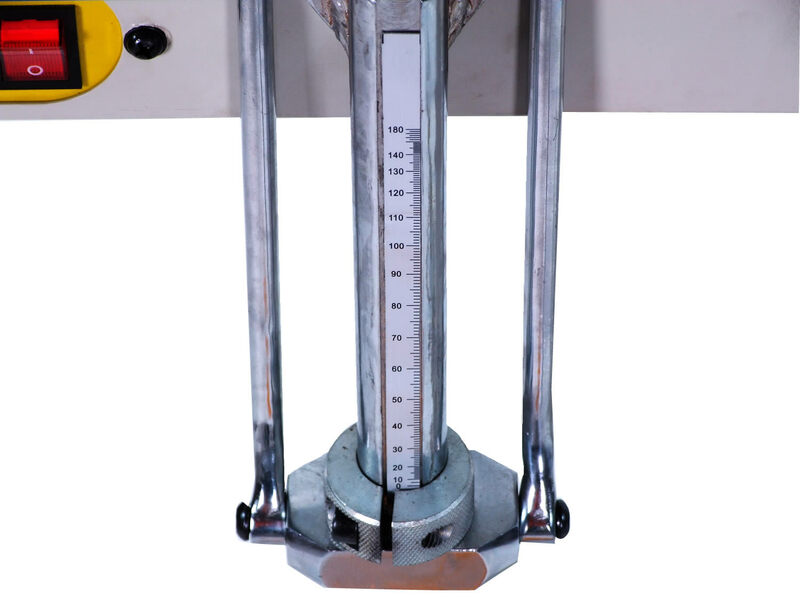 Blade gap adjustment on the clamping bars lets you work with sheet metal of different thicknesses. 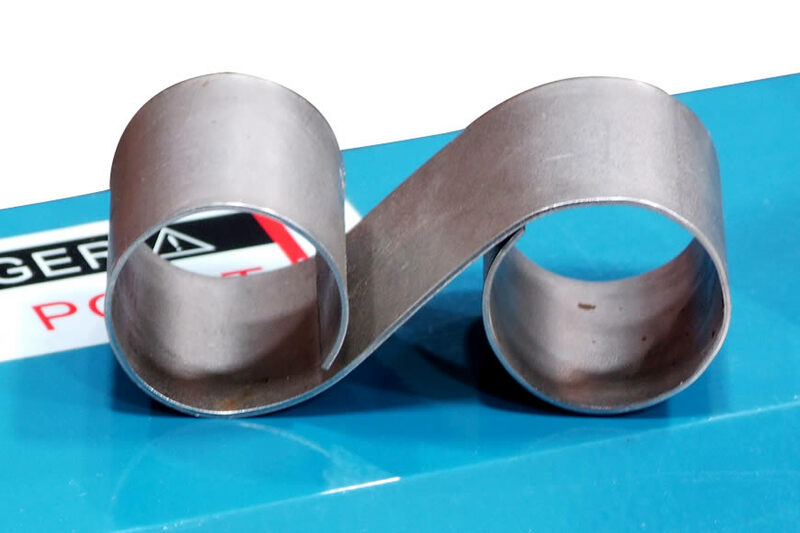 You can remove the bottom leaf's bending extension for the tightest bend dimension between bends of .625”. Comes with product supports and adjustable back gauges for production runs. Baileigh covers this box brake with a 1-year parts warranty as well as lifetime technical support by phone. Typically kept in stock for quick shipments. Put a piece of material between the clamping bar to the depth required. 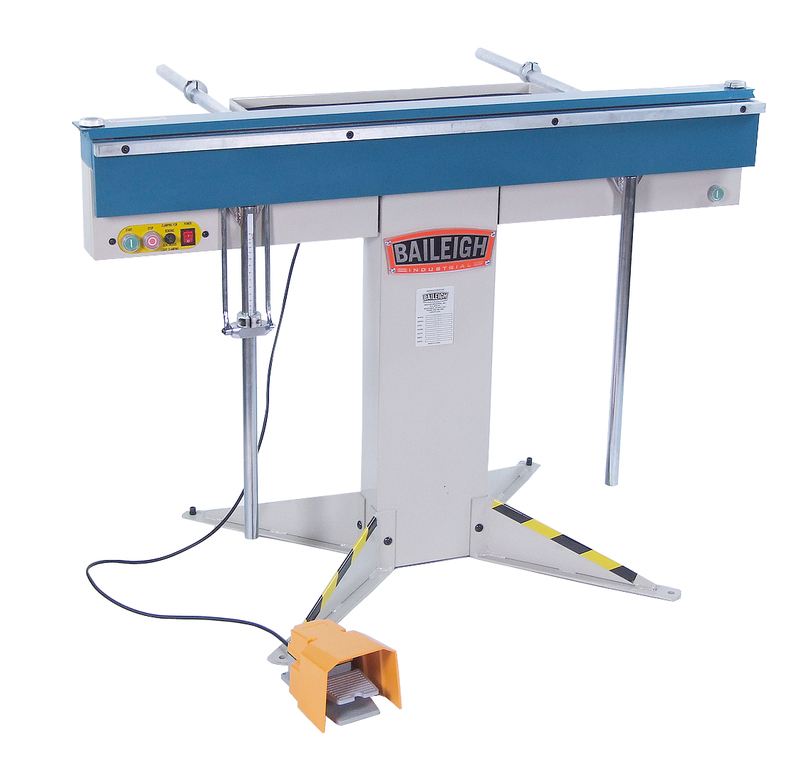 Engage the powerful magnet in the bending bed with push button control. Hit the foot pedal that softly clamps the material. 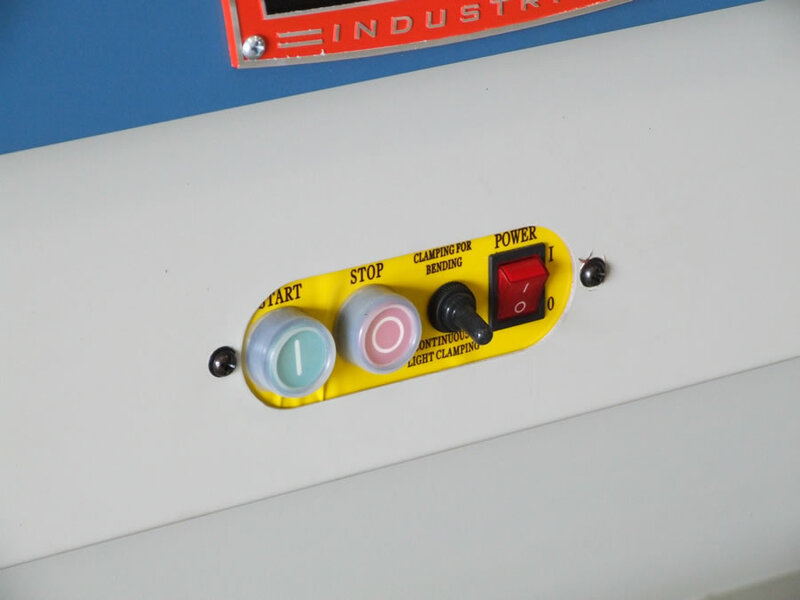 This foot control keeps your fingers safely out of the machine and you to reposition the material. Lift the the bottom bending leaf to complete the bend. Making enclosed boxes, triangles, alternate bends on varying planes, and round items such as scrolling applications. Bending a variety of materials, including sheets of mild steel, stainless steel, aluminum, coated materials, heated plastics, and more. To achieve proper performance and prevent damage to the machine, the power supplied must be 220VAC +/-5% (209VAC to 231VAC). Failure to comply will damage the machine and void the warranty. 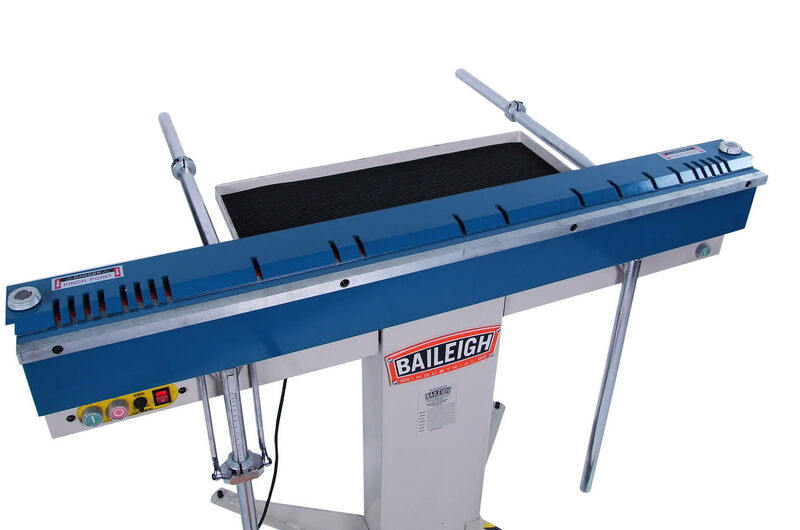 Questions on this please call Baileigh Industrial 920-684-4990 before purchasing. Capacities can change depending on set up leaf extension. Rule of thumb for mild steel, 16ga., extension OFF. 18ga. extension On or Off, 20ga. and thinner, extension On. “Always love making stuff with the magnetic brake. It’s a great tool,” writes Cody from Quarter Tilt Kreations. Visit Quarter Tilt Kreations on Instagram. With a trusty BB-4816M Sheffield Race Cars creates roll cages, custom turbos, full-blown turn-key drag cars, and much more. Recent projects include 4130 Chromalloy sheet metal 9” rear-end housings and an air-to-air intercooler made out of .120 6061 T-6 Aluminum. The BB-4816M does things that normal sheet metal brakes can't. Check out my video for an example of how. Some of you may remember that I bought a Baileigh Magnetic brake a while back. 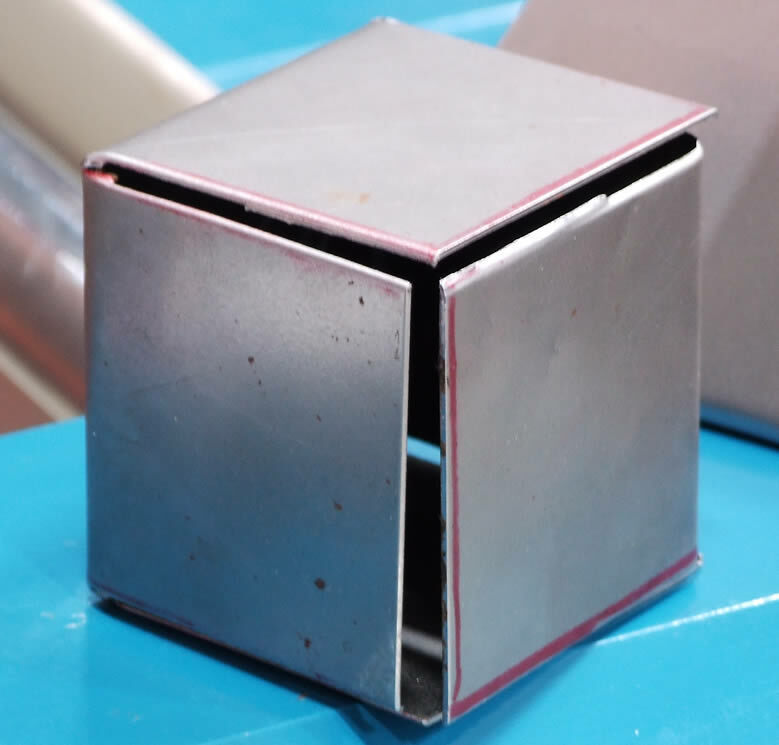 I have used it a bunch, but for the most part most of the bending could have been done on a traditional Box/Pan brake (really not very interesting). In the interest of showing the versatility of the Mag Brake I did a tutorial of building a radiator fan shroud and how I used the Mag Brake for bending radiused corners around round bar instead of square corners like a traditional Box/Pan, and this is easy on the Mag brake. Well I just completed another customer project that wouldn't have been possible on a traditional Box/Pan and I thought I'd share it with you. My customer has a restored WWII Bomber airplane (don't bother asking the model of bomber as I can't remember but I will ask again next time we talk) and he is fitting some empty 1000 lb Bombs to the bomb bay that have been converted to store extra fuel and engine oil. The bomb bodies that he has are sans fins and he needed some new fins cut out and bent up. So this it the process. I hope it shows you one more of the cool things that can be done with a magnetic brake. The blank fin as cut on my plasma table. I highly recommend this brake! Two years ago I purchased the magnetic brake from Baileigh. 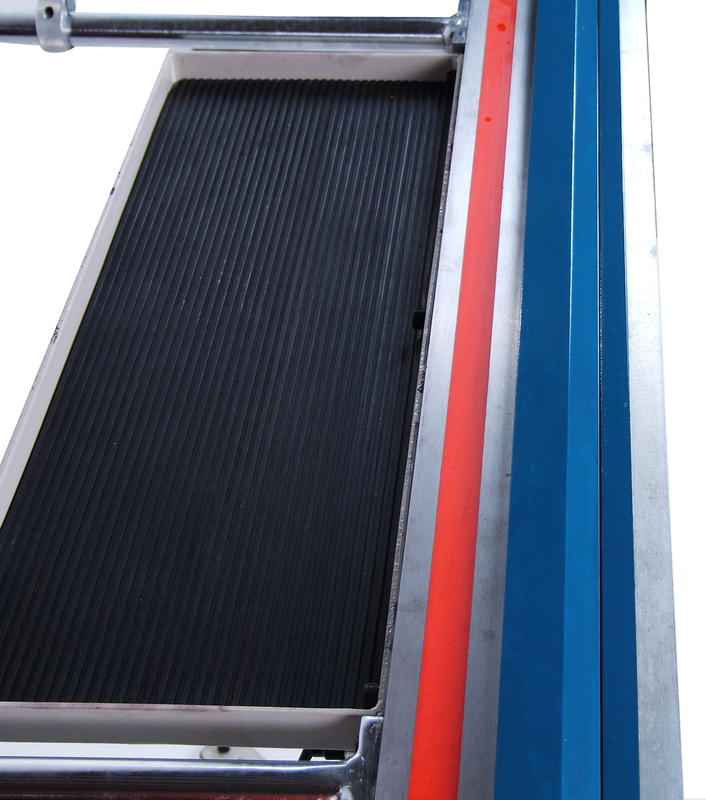 It's hands down the most important and versatile sheet metal tool CAL Automotive Creations uses! The brake had a hand in forming most of the panels on our 2013 Detroit Ridler winning '40 Ford "Checkered Past". The possibilities are endless with this tool. I highly recommend this brake! 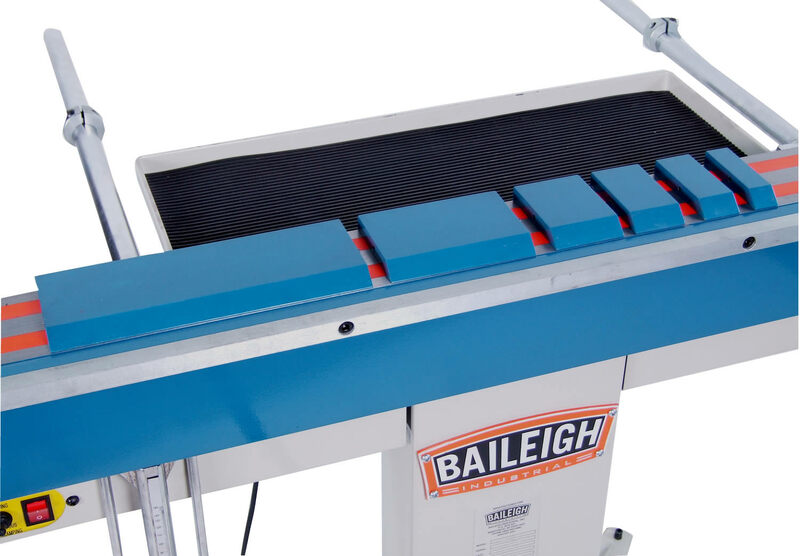 It's just one of the Baileigh tools that we use daily that I can't live without. Just got my brake last week and I am very impressed with the build quality. All of the parts arrived well packed and in perfect condition. I have tried it on several different kinds and gauges of metals and it absolutely does everything as promised. I am able to form shapes now that I never could before and this gives me an advantage over my competition.